Registration starts February 11 for Y Members. February 13 for Community Members. Registration starts April 1 for Y Members. April 3 for Community Members. 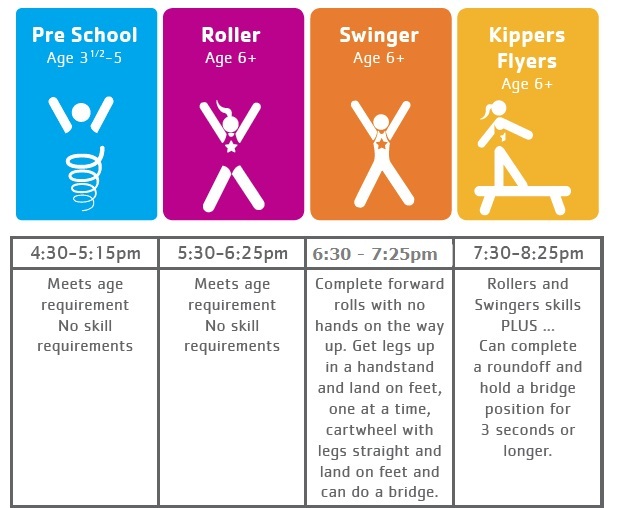 Join us this session for an age appropriate level of gymnastics. From our beginning level to our most advanced, get it all here at the Cadillac Area YMCA. Each session encompasses age and skill related training in the art of gymnastics. With lead instruction from Deb Rensberry, you will learn all the essentials to progress in this program.